Joel Ewanick's departure from GM may mean the automaker will take a more conservative, business-as-usual approach to marketing in the future. SOUTHFIELD, Michigan (Bloomberg) -- General Motors Co. CEO Dan Akerson's conflicts with marketing boss Joel Ewanick started weeks before he was ousted for not properly disclosing as much as a third of the cost of a $559 million soccer deal with the UK's Manchester United team, people familiar with the situation said. Akerson had punished Ewanick by forcing him to carry a so-called "Farley Award," named for Ford Motor Co. marketing chief Jim Farley, over Ewanick's public profanity during a June conference in Cannes, France, said the people, who asked not to be identified because the details are private. GM's CEO would no longer protect his marketing head after a whistle-blower stepped forward and the automaker found out Ewanick was spreading the price of a Chevrolet sponsorship agreement, with English soccer team Manchester United, among several different marketing budgets to avoid his boss's spending limits, the people said. When confronted, Ewanick denied it, they added. There's no evidence that Ewanick profited personally from the transaction said two of the people, while another said the investigation continues. The removal of a key lieutenant he was mentoring reflects the steep challenges facing Akerson as he tries to change the culture of the country's largest carmaker. "Whether you liked Joel or not, he brought a significant amount of experience both on the brand side as well as the agency side, and he had a lot of very influential relationships," Mike Jackson, a former vice president of marketing at GM, who left the automaker in 2007, said Tuesday in a telephone interview. "It's a huge setback." The departure of the former Hyundai and Nissan marketer is also a personal setback for Akerson. The CEO supported the executive's risk-taking spirit to shake up GM's staid marketing culture, promoting him to run global marketing in December 2010. Akerson has made a priority of emphasizing the Chevrolet and Cadillac brands worldwide, especially in China, where GM is expanding. "I know a lot of the public views this as a personality-driven industry," Akerson told analysts last week when asked about Ewanick's departure. "It's a team effort and what you saw manifest in the marketplace was a thought-out strategy that was agreed upon as a team." Tom Henderson, a GM spokesman, declined to comment on the former marketing chief. Ewanick told GM that the structure of the Manchester United deal wasn't out of ordinary for large contracts, a person familiar with the discussion said. GM's investigators saw it differently after days of probing inconsistencies in Ewanick's account, the people said. Ewanick's sentencing to carry the Farley award, a mock-up of Ford's blue oval logo that has "Farley" instead of "Ford" in the center, was proof Akerson was taking steps to help his marketing chief learn his limits, one of the people said. Akerson, 63, a former U.S. Navy officer, enforced the parody award as a way to remind senior executives to maintain professionalism in private and in public, people familiar with the details said. Farley, who came to Ford from Toyota was quoted saying "f--- GM" in "Once Upon a Car," the 2011 book about the U.S. auto bailout by New York Times reporter Bill Vlasic. Ewanick's last GM deal will generate a total of $559 million through 2021 for Manchester United, the soccer team said Aug. 3 in a regulatory filing. The agreement, the largest in the history of soccer, was formally announced July 30, the day after GM said in an e-mailed statement Ewanick failed to "meet the company's expectations of an employee." Elements of the agreement were renegotiated after Ewanick's actions were uncovered, people familiar with those details said. The agreement includes about $18.6 million this year and next before rising to about $70 million for the season beginning in 2014. GM's payments increase by 2.1 percent each season after that, according to the filing. Rebecca Lindland, an industry analyst with IHS Automotive, said she informally chatted with Ewanick in recent weeks and didn't sense trouble was brewing. "He was excited to be working for the company," Lindland said. "I certainly didn't pick up on any hint whatsoever of any kind of discord from him." The end to Ewanick's 27-month run at the largest U.S. carmaker contrasted with the attitude after GM snatched him from Nissan in May 2010. The Detroit automaker was then less than a year out of bankruptcy and facing pressure to show it was trying new initiatives. Before his less than two months at Nissan, he was with Hyundai as vice president for marketing for the U.S. sales division from 2007. It was there where he created his most memorable campaign, the "Hyundai Assurance" program that allowed buyers who lost their jobs to walk away from their finance contracts, an appealing pitch during the recession. Ewanick joined GM during a time of management upheaval. Then-CEO Ed Whitacre had ousted or reassigned more than 30 managers, mostly in sales and marketing. Whitacre had recently approved ending a 91-year relationship with Campbell Ewald for Chevrolet advertising and moving it to Publicis Groupe. "He was seen as being instrumental at Hyundai," Daniel Gorrell, president of Tustin, California-based consultancy AutoStratagem, said in a telephone interview. "They may have thought at the time that he could do that magic at GM." Five days after he took the GM job, Ewanick moved GM's Chevrolet business from Publicis to Goodby Silverstein & Partners, an agency he had used at Hyundai. He then agreed to a plan to shelve slogans such as "American Revolution" in favor of a new campaign, "Chevy Runs Deep," in time for the Oct. 27 start of Major League Baseball's World Series. Ewanick, 52, a fan of baseball's Boston Red Sox who calls himself a Starbucks junkie on his Twitter page, posted there that he was "fast falling in love with my new home in Detroit." Hyundai's U.S. operations were in Fountain Valley, California; Nissan's are in Franklin, Tennessee. An early example of Ewanick going around normal channels, one he spoke of frequently in interviews, was a decision to forgo GM's typical process for buying furniture and instead go with bargain retailer Ikea for his office at the company's headquarters, spending $2,000 when he was allowed about $50,000. Ewanick soon had another run-in with GM procedures. He had to explain one of his first Cadillac sponsorship deals to GM leadership after allegations he cut corners in getting the agreement done outside of GM's usual channels, people familiar with the details said. The contract, with the Northstar-at-Tahoe ski resort in California near Lake Tahoe, was eventually approved, the people said, and the brand is listed on the Web site as the resort's official vehicle. Ewanick owned a home in the area, real-estate records showed. "While Joel was a risk-taker and big-picture kind of guy, he was not real concerned about the details and that indeed may have been his downfall," said AutoStratagem's Gorrell. "His leaving may suggest that GM will take a more conservative, business-as-usual approach in the future." GM's momentum continued under Ewanick's stewardship. In 2011, GM leveraged new models such as the Chevrolet Cruze to regain its crown as the world's largest automaker from Toyota as the Japanese company was hobbled by natural disasters in Asia. Ewanick had also been aggressive behind the scenes. This year, he turned over GM's media planning and buying to Aegis Group Plc's Carat, and Chevy's ad business was assigned to a newly created firm called Commonwealth, a joint venture between Omnicom Group Inc.'s Goodby and McCann Erickson Worldwide, part of Interpublic Group of Cos. Chevrolet, GM's largest brand by unit sales, previously used 70 ad agencies around the world, the carmaker said at the time. GM said the moves would save $2 billion over five years. Over the last three months, Ewanick made headlines that didn't help his standing. Days before Facebook Inc.'s initial public offering in May, Ewanick told the Wall Street Journal that GM would stop advertising on the social network and questioned its value. The announcement was blamed, in part, for Facebook's rocky offering. The stock stalled on the first day and has lost 45 percent of its value. Akerson, who also publicly questioned the benefit of Facebook advertising, was unhappy Ewanick talked about the decision to the media, people familiar with the discussion said. In particular, Akerson thought Ewanick had been ungentlemanly in damaging the company's IPO, one of the people said. A few days later, Ewanick announced GM wouldn't advertise in next year's Super Bowl on CBS, saying it had grown too expensive. The broadcast has gained renewed interest in recent years from rivals, highlighted by Chrysler Group LLC's ads featuring rapper Eminem and actor-director Clint Eastwood. Then there was the gaffe in June that prompted Akerson to sentence Ewanick to display the Farley award, according to people familiar with the matter. At the conference in Cannes, Jeff Goodby, who co-founded the joint-venture that does Chevrolet advertising for GM, joked that he would begin by asking Ewanick about his position on Facebook, according to trade publication Advertising Age. This was just weeks after the dust-up marred the IPO of the California-based-social networking company. "Motherf---er," Ewanick responded with laughter, according to the Advertising Age. "You're gonna pay for this s---." The playful back-and-fourth continued between the two friends, including Ewanick joking about being willing to give a Goodby competitor advertising without a competitive-bidding process, according to the article. Ewanick's ultimate undoing with Akerson, though, weren't these missteps, people familiar with the details said. The defining event was the Manchester United agreement, which Nigel Currie, managing director of London-based marketing adviser BrandRapport UK, said set a record for a soccer sponsorship. In 1999, when Manchester United won the Premier League, FA Cup and Champions League, electronics company Sharp Corp. sponsored the team for only 850,000 pounds ($1.3 million) a year, said Currie. The next year, Vodafone Group Plc took over, paying an average of 8 million pounds a year, which was considered "incredible," said Currie, who helped negotiate the deal as an adviser to Vodafone. And the price kept climbing. Insurance company American International Group Inc. took over in 2006 for about 14 million pounds a year, Currie said, and Aon Corp. now pays 20 million pounds a year. "This is just unbelievable," Currie said of the GM deal, which will put Chevrolet's bowtie logo on the team's jerseys beginning in 2014. Aon had wanted to continue its relationship with Manchester United and began talks to renew its jersey sponsorship last year, and was willing to pay more than the current contract costs, a person familiar with the discussion said. Ewanick was determined to win, seeing it as a way to elevate the Chevrolet brand globally, a person familiar with the decision said. Manchester United games are broadcast into 1.15 billion households in 80 percent of homes with televisions worldwide, GM has said. In May, when GM was revealing a smaller sponsorship deal with Manchester United, it staged an announcement ceremony in China and executives touted the benefit of being associated with the team. Paul Edwards, GM's executive director of global marketing strategy, said in a telephone interview at the time that when Manchester United played Manchester City for the Premier League title, the audience around the world "scaled to 600 million people." "Compare that to the Super Bowl here in the States, which is roughly 110, 115 million, and you're talking five times that audience watching," he said. "It's significant." The details of the jersey deal began to unravel after a whistle-blower came forward from within the marketing department questioning the appropriateness of some aspects of the arrangement, people familiar with the internal investigation said. Ewanick was questioned by Michael Millikin, GM's corporate counsel, about the extent of the Manchester United deal over the course of two to three days, one of the people said. While Ewanick denied trying to hide the details, more elements he hadn't disclosed were uncovered over the course of the investigation, the person said. His resignation was announced in a statement July 29. As a result of the probe, parts of the arrangement originally put together under Ewanick were revised for less money, people said. GM has said it doesn't have immediate plans to change Ewanick's marketing strategy. 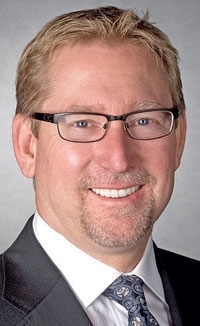 His interim replacement, Alan Batey, takes the helm as GM replaces or refreshes 70 percent of its U.S. nameplates in 2012 and 2013, including its redesigned full-size pickups next year. "Simply, there is no change," Batey said on a conference call last week with analysts and reporters. "We have always been one team here, and there is no change in direction. There is no change in priorities. The team is focused on executing, and we've got a lot going on right now." The progress Ewanick was making was important because Akerson is trying to stem losses in Europe that have totaled $16.8 billion since 1999 and improve profit margins and stave off a resurgent Toyota. The Japan-based company's worldwide sales surged 34 percent in 2012's first half to 4.97 million vehicles, ahead of GM's 4.67 million. Ewanick, even after his departure became public, hasn't lost his marketing flair. He took to Twitter to make his parting statement, saying in a July 29 post it was his privilege to "be a small part of Detroit's turnaround." Later that day, he posted a link to a story about his own ouster.